Jayla Youngblood looked like she didn’t want to be there. Unlike the speakers that came before her at the Gwen’s Girls Equity Summit, Jayla Youngblood approached the stage timidly. The day’s program said she was up next. Her face, though, said she was having second thoughts. On stage, she stopped, seeming like she almost wanted to hide behind the projector screen. But she didn’t. She moved close to the mic, and the lines, composed by her, followed. When she finished, her audience cheered, a few stray “yeses” and snaps following her as she rushed off stage. Despite her assertive poetry, her mentor says Jayla isn’t a success story. At least not yet. At 16, Jayla feels like a lot of people are trying to tell her who she is. She’s a black girl, living with her grandmother, who was having so many problems in school she was transferred to a different one on the North Side for students with IEPs, or individualized education programs. Jayla’s IEP says she is emotionally disturbed. But when school is over, and she’s managed to push through another day of peers lashing out at her and of seemingly minor interactions turning into discipline, Jayla has been able to find a refuge in the Gwen’s Girls after-school program where she can eat dinner and work on her poetry. In Pittsburgh, girls like Jayla are more likely to grow up poor. There are fewer after-school activities and sports available to her than her male peers. And it means she’s more likely to be suspended from school than her white classmates. When Jionna Rodgers (pictured below) was an 11th grader in a Philadelphia high school, confident that her 3.9 GPA would land her a spot in the National Honor Society. Until she got suspended. Usually, Jionna was able to tune it out and focus on her work. With a mother suffering from depression and a father addicted to drugs, focus on school work was how she got through the days. But one day, one girl said something to her in class that got under her skin. She doesn’t remember what she said, but Jionna shot back with a retort. The girl threw a pen at her. Jionna lunged, ready to fight. Her punch never landed. But for that altercation, she was suspended for three days. Not enough for her to fall behind in her classes, but enough for the Honor Society to disqualify her from joining. She was devastated. “There [went] my opportunity. And no one fought for me. It was me reacting to my environment,” Jionna said. 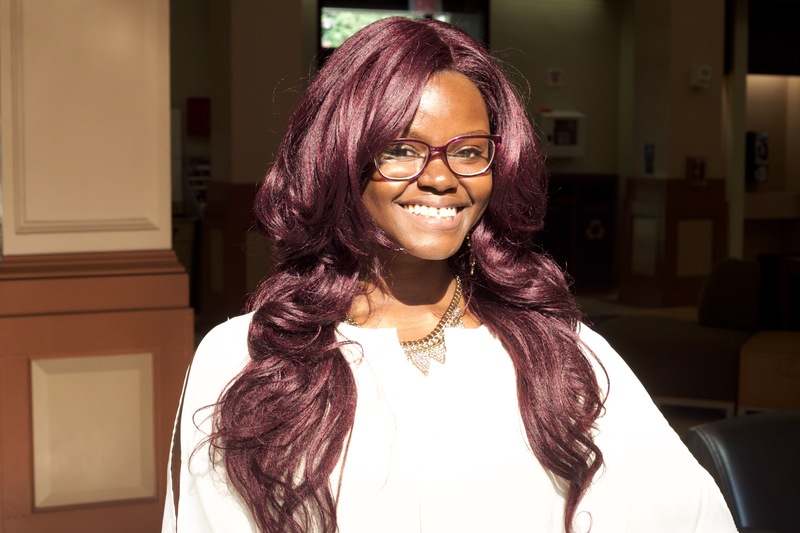 Now 22 and a student at the Community College of Allegheny County, Jionna is working to help black girls like herself recognize their environments and make it out unscathed. “I’m a survivor and as a survivor you have to tell a narrative and you have to pave the way. It’s powerful, it makes you feel like you’re not alone. This is not the way you have to be,” she said. Jionna’s story could benefit someone like Jayla. According to data released today in a report about inequities faced by black girls in the Pittsburgh region, Jayla was among the 60 percent of black girls suspended each year from Westinghouse Academy. 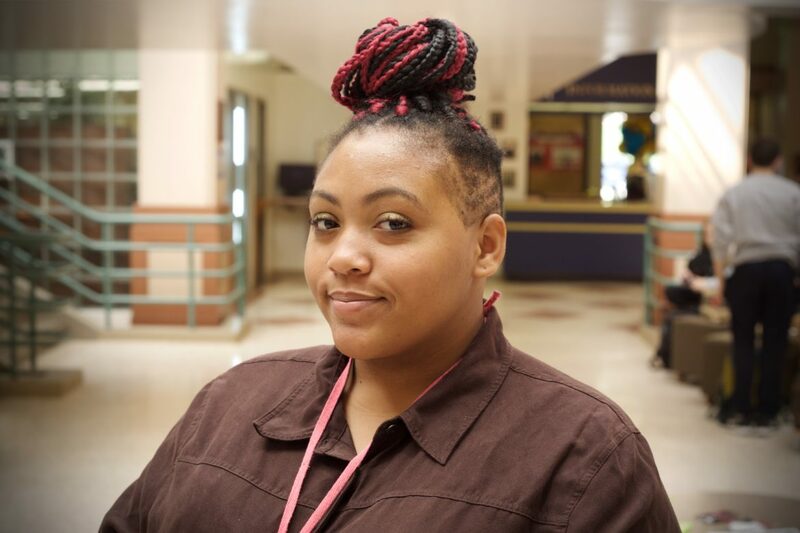 Jayla had earned a reputation at Westinghouse. She acted out in class. She fought. They suspended her. She’d get cut out of school assemblies and field trips for her behavior. Before she left Westinghouse, school officials had suspended her at least 30 times, she said. Maybe more. She lost count. After awhile, even though she knew she was prone to trouble, Jayla began to think teachers were treating her unfairly. That last scuffle she was in? She got suspended, but the other girl didn’t. That time she and some other kids disrupted class? She was sent home while everyone else went back to school the next day. That boy she dug her nails into because he choked her? She got in trouble, but he didn’t. Taken as a whole, Jayla’s trouble was enough to get her moved to the Oliver High School school on the North Side for students with IEPs. Though the school is meant to help her, she hates it. She thinks she doesn’t belong there. “Most of the time when I’m close to the school, my stomach starts turning. My head starts pounding. Even if you are the most positive person on Earth, you’ll have a hard time,” she said. Jayla knows she has a temper, but she doesn’t think it makes her a bad person. At 4 p.m. Monday through Thursday, Jayla heads to the Lincoln Park Community Center in Penn Hills for the Gwen’s Girls program. While others work on homework assignments, which the new school doesn’t give, she thinks and writes poetry. Through Gwen’s Girls, Jayla is on a trajectory that her counselors think could help her be successful one day. Amy Yeu — Ms. Amy to Jayla — a youth development manager who works closely with Jayla, said she’s made a lot of progress in the two years she’s known her. And if she keeps up the work, she will have a bright future. “Our girls are not perfect. I tell people these aren’t your typical Sunday morning girls,” Yeu said.